Grand Gestures Dance Collective was formed by Dance Artist Paula Turner to highlight the artistic qualities of older dancers and especially the culturally disruptive tendencies of their dance work. 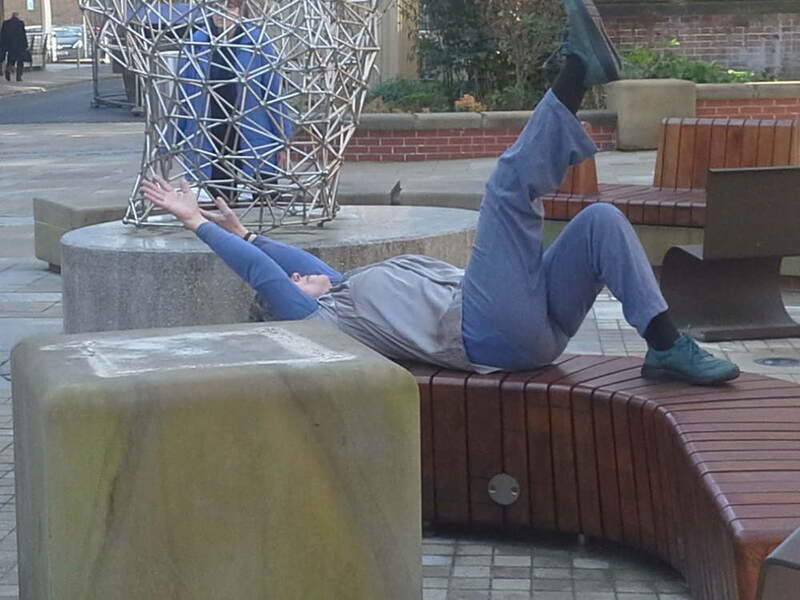 GGDC seeks to question normative conceptions of the older dancer and to be ‘politely disruptive’ in its occupations of public space. 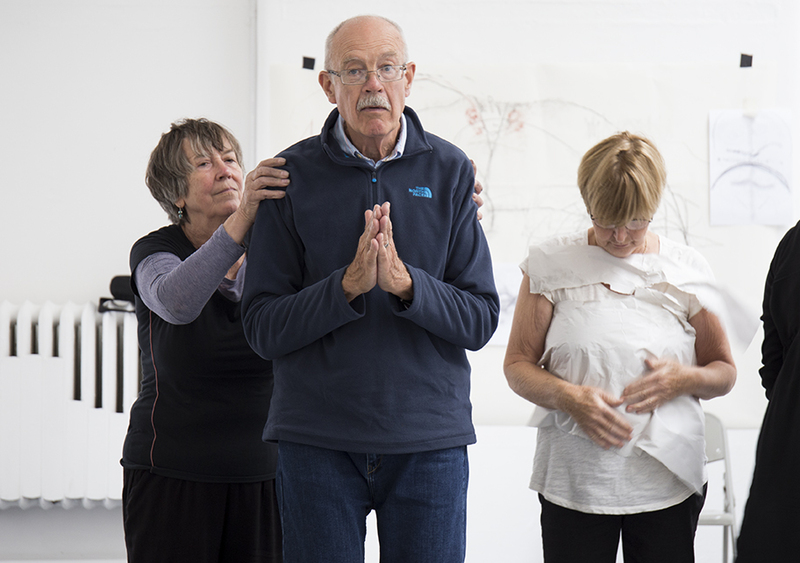 Paula collaborates/works with a cohort of professional and non professional dancers who see their dance work as providing an alternative set of representations, speaking of another set of possibilities for older age. The GGDC model of working is a critical practice that challenges normative conceptions of the older dancer. This practice can itself act as a stimulus to debate about the current orthopraxis of elders dance practice, about the cultural representation of the older dancer and about what it means to dance in older age. The lived in body as the ultimate in communication devices, the original means of social media! GGDC are known for their happenings. Whether we are seen or unseen is unimportant. What matters is our presence and our witness and through our happenings we assert that dancing/moving is part of everyday life. Our happenings provide the means by which we interrogate direct experience and those who watch or pass by are invited to do the same. We respond to environments, to our shifting awareness of who we are and where we are moment to moment. Participation in the Cultural Value Project from the Arts & Humanities Research Council. Prof. Trish Winter - Centre of Research in Media and Cultural Studies - University of Sunderland.